1. Sign up in house. You can bring your laser card and we can set you up right here. You will receive a training manual and access to all of our nutritional programming and video tutorials. 2. Sign Up using our very own App! 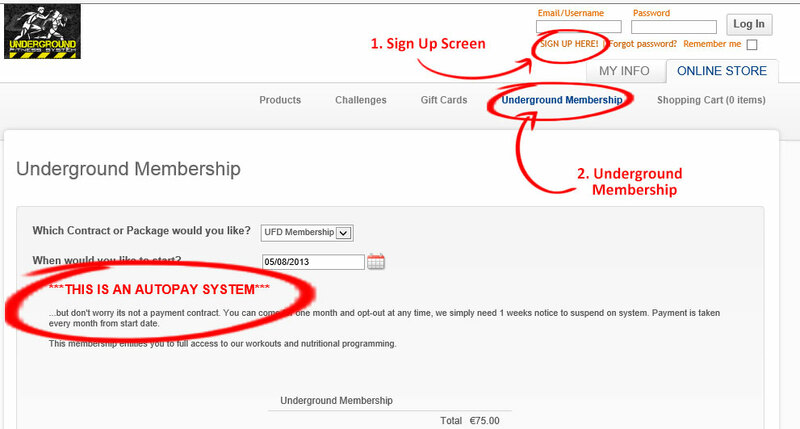 Search “Underground Fitness” on Apple iTunes store or Google Play. Click “Create New Account” on bottom left. 3. Follow the link below and sign up online. ***PLEASE BE AWARE – Sign up is an autopay system. There is no contract time, so we can suspend or cancel membership. We require only one weeks notice. Click on “JOIN THE CLUB” above.